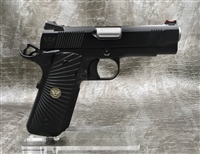 Our selection of 1911 pistols from Wilson Combat have been assembled by our expert gunsmiths and are available for immediate purchase. 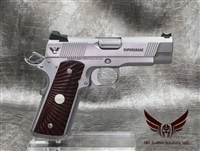 We have created a diverse assortment of Wilson custom 1911 handguns that encompass the most popular and reliable configurations used by professional gun owners, law enforcement agents and soldiers in the field. 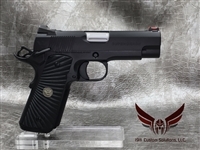 The Wilson 1911 pistols are the same design as the original 1911 pistols, but with a modernized design and made with upgraded materials. 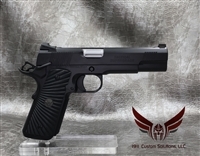 With our selection of Wilson Combat 1911s, what you see is what you get. These are not stock photos of 1911 handguns, these are the actual pistols you receive with your order. 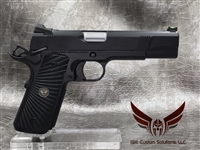 Choose your favorite model and we will mail your handgun to the nearest FFL Dealer. 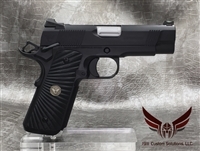 You should have your new Wilson Combat 1911 within 24 to 48 hours. 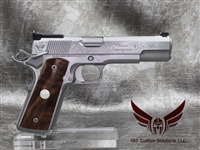 There is no long waiting period like with other 1911 dealers, and we offer maintenance services on all of our Wilson 1911 handguns if you are ever in need of an adjustment.